IMPORTANT: Remember to ALWAYS be safe when using firecrackers. Do not hold them in your hand. Light them on the ground, away from flammable materials, people, & animals. Be respectful of your neighbors & any noise ordinances your city/town has. 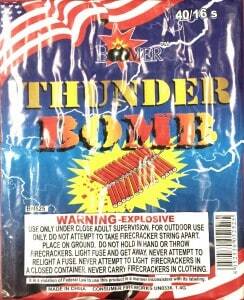 NOTE: Firecrackers just became legal in NH. Let’s keep it that way by ALWAYS using them in a SAFE & SMART manner. 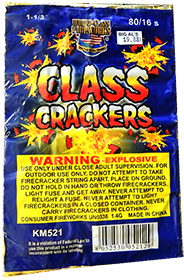 World Class Class Crackers are made at select factories with a long history of quality and performance. Their crackers are made with only the finest powders and the highest quality paper and fuses. Their manufacturing and testing process ensures the loudest bang, predictable fuse burn time with the lowest number of duds in the industry. 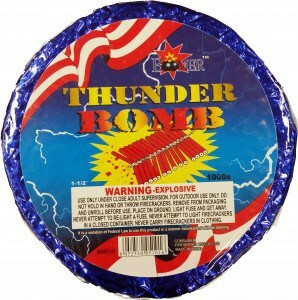 Thunder Bomb Crackers are made at select factories with a history of quality and performance. 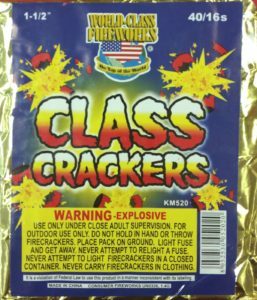 Our Firecrackers are made with the highest quality powders, packed clay, and waterproof fuses. Our manufacturing and testing process ensures the loudest bang, predictable fuse burn time with the lowest number of duds in this product category. 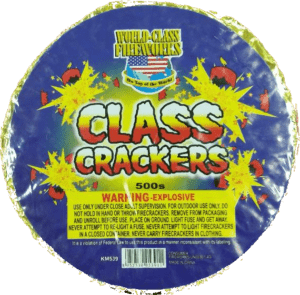 World Class Crackers are some of the highest quality crackers on the market! You won’t be disappointed! 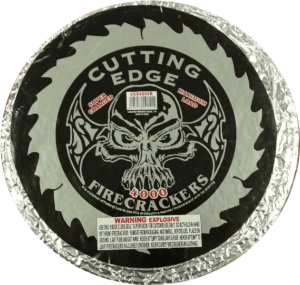 Cutting Edge Premium quality Firecrackers! Roll of 4000. 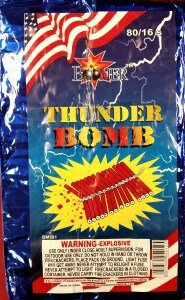 100 small waterproof firecrackers with a loud bang! 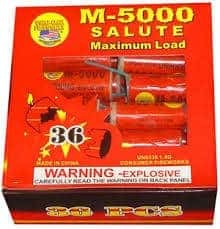 Embracing the nostalgia of the good ole days, these M-60 style salute crackers are designed capture the sentimental heart of dad and the wild imagination of grandpa! 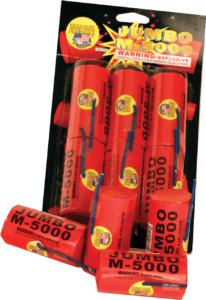 Each Jumbo M-5000 contains a bundle of firecrackers strung together with quick fuse. 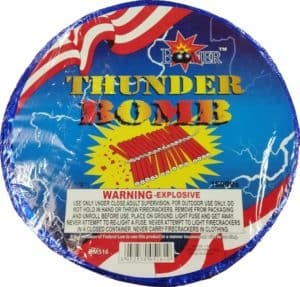 This allows for all of the crackers to essentially ignite in a split second. This results in an extremely loud report which is sure to get everyone’s attention at your neighborhood celebration. Each Dyno Mighty Mite sticks contains 300 firecrackers strung together with quick fuse. 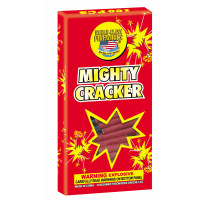 This allows for all 300 crackers to essentially ignite in a split second. This results in an extremely loud report which is sure to get everyone’s attention at your neighborhood celebration.